Keeping to a theme for your wedding is always a good idea—so if you’re planning to walk down the aisle in none other than Vera Wang, why not have your wedding cake designed by one of the most sought-after names in the wedding world, too? 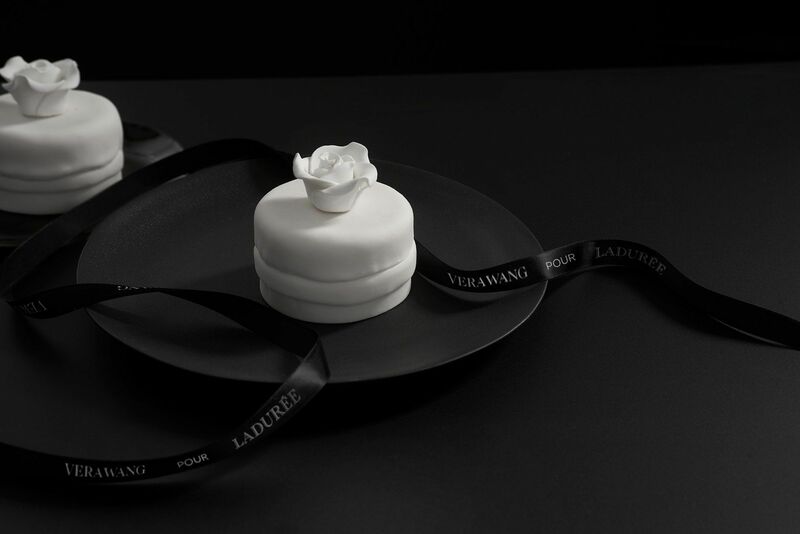 Just a few weeks ago, it was announced that the designer has officially teamed up with beloved Parisian bakery, Ladurée, to create an exclusive collection called Vera Wang Pour Ladurée. “Among my most memorable and enchanting experiences in Paris has always been Ladurée, whether it was tea sandwiches, shopping with my mother or taking my daughters for lunch in St. Germain, Ladurée has always been a part of my Parisian experience,” Wang said. The beautifully minimal collection includes a simple but elegant mango and coconut wedding cake, topped with a black silk ribbon and decorated with chic white roses. This comes in either a full-sized cake for a minimum of 40 persons or as delicate individual cakes. And because it wouldn't be a Ladurée affair without their world-famous macarons, there’s also an exclusive line of Vera Wang Pour Ladurée macarons in a decadent coconut crème chantilly flavour that wedding guests are sure to love.